Leo Patrick Cavanaugh, son of Matthew and Annie Cavanaugh, was born in Medford, Massachusetts on August 10, 1912. After attending Boston College High School and Boston College, he entered the Order on September 13, 1938. He professed simple vows on October 31, 1939, and solemn vows on October 31, 1942. He studied theology at Augustinian College, Washington DC, and was ordained to the priesthood at Trinity College, Washington DC, on May 29, 1943. In 1944 he was assigned a teacher to Saint Rita High School in Chicago, Illinois. In 1946 he was transferred to Cascia Hall, Tulsa, Oklahoma, and from 1950 to 1951 to Villanova Preparatory School in Ojai, California. 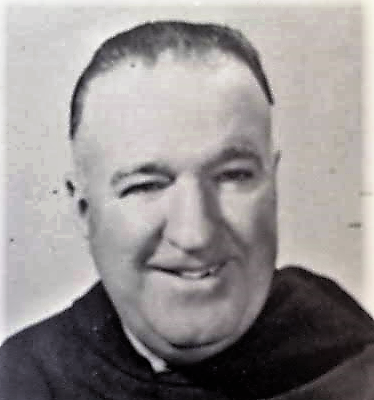 In 1951 he returned to Saint Rita High School, Chicago to teach, a task he carried out with dedication for the remaining years of his life.For several months prior to his death, Father Cavanaugh suffered from a terminal illness. He died at Saint Joseph Manor in Portland, Maine, on January 23, 1984. Father Cavanaugh was known always as a gentleman and, especially in his later years, for his care for the community and the students he taught. Father Cavanaugh is buried in the Augustinian plot at Saint Mary's Cemetery, Lawrence, Mass. Newer PostBernard E. Daly, O.S.A. Older PostJames J. Blake, O.S.A.